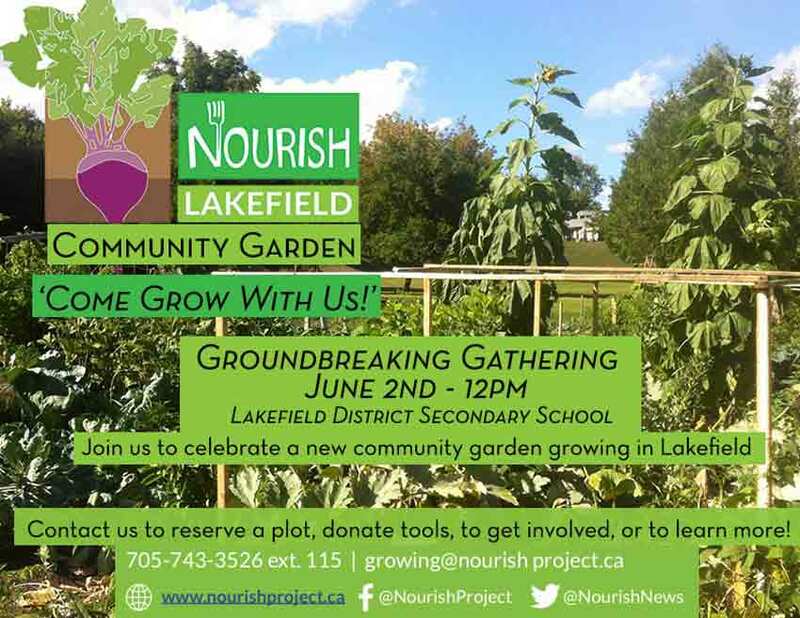 Join us in the field at Lakefield District Secondary School for a very special groundbreaking ceremony celebrating the launch of the Nourish Lakefield Community Garden. Sign up for a plot, learn more about the garden, and enjoy some fresh local food while participating in hands-on workshops at this free, family-friendly event. If you have questions about this event or the garden, please contact Jill at 705-743-3526 ext. 115 or by emailing growing@nourishproject.ca.